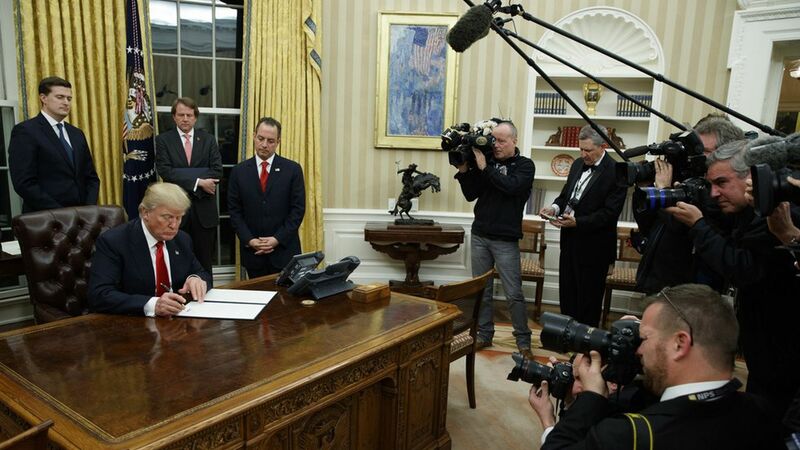 Before hitting inaugural balls, Trump signed an executive order "that directs the departments and the agencies to ease the burden of Obamacare as we transition to repeal and replace,'' spokesman Sean Spicer told reporters. Separately White House Chief of Staff Reince Priebus issued a government-wide order freezing new regulations. What it means: nothing. A GOP aide said the order is "pretty much a nothingburger." The real action on repeal and replace is still on the Hill.